I’ve partnered with SeaWorld for this post. All opinions are my own. 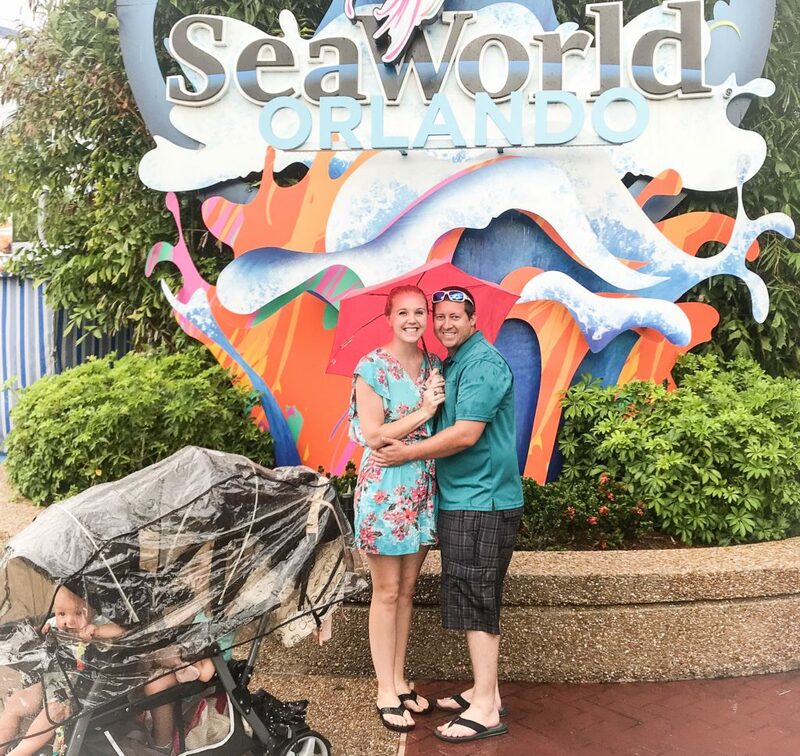 SeaWorld Orlando is a great destination for families with smaller children. 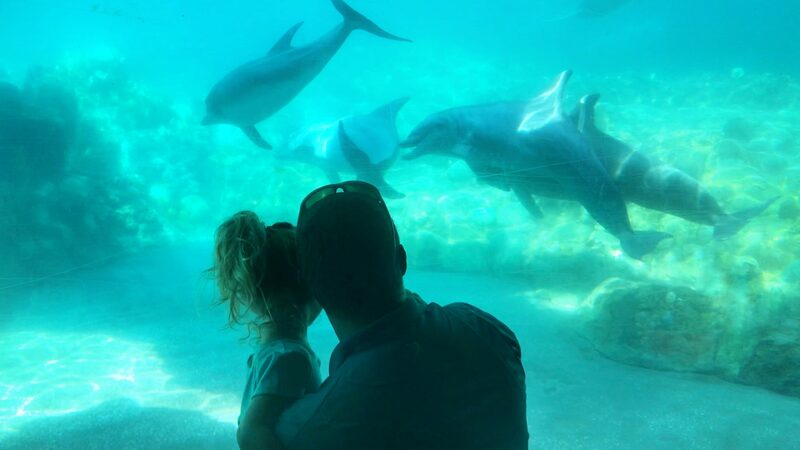 With spectacular shows, captivating aquariums and tons of animals, it’s a memorable vacation for people of all ages. 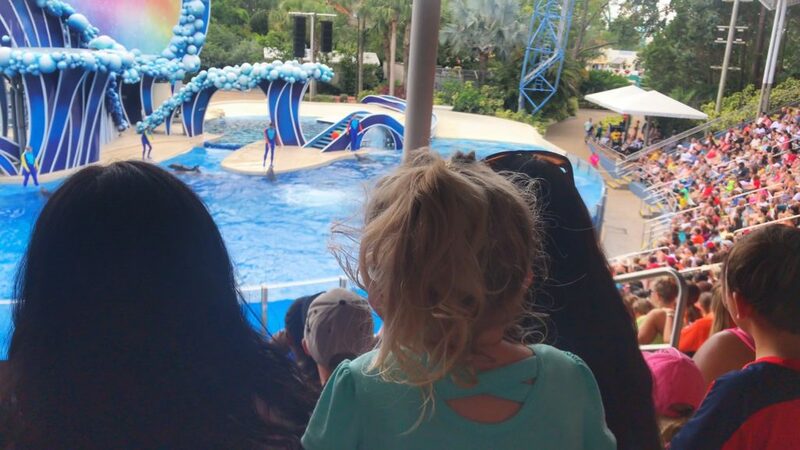 If you’re planning a trip, here’s my tips for visiting SeaWorld with young kids. 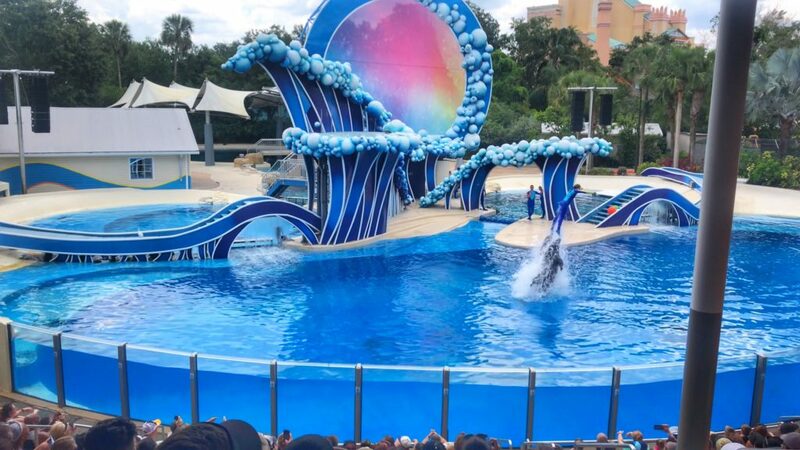 SeaWorld has so many incredible shows that really give you an up close look at these magnificent animals. 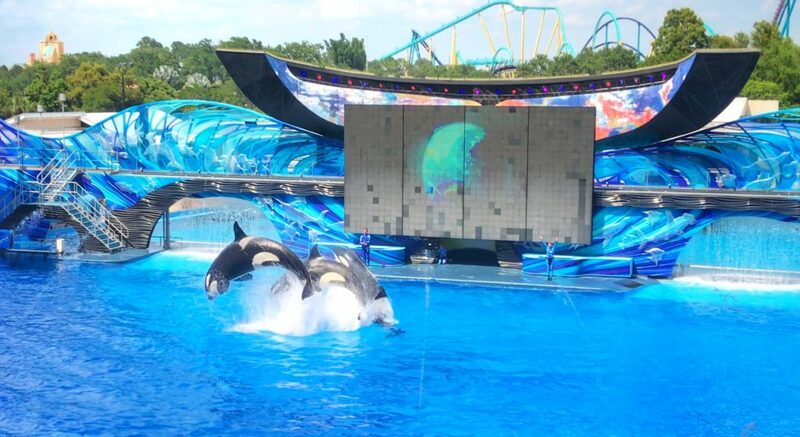 We loved One Ocean in Shamu Stadium which featured the iconic Killer Whales. One was even named Kayla! My preschooler loved watching the whales splash and jump out of the water. We also enjoyed the Dolphin Days show. This one showcases the trainers in the water with the animals and even includes a surprise fly in from a few feathered friends. 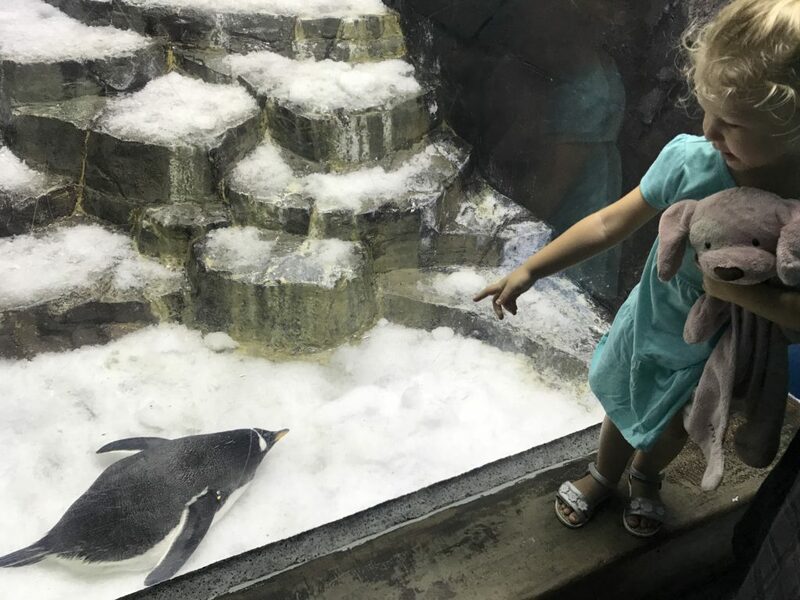 There are tons of exhibits at SeaWorld showcasing all types of aquatic animals. 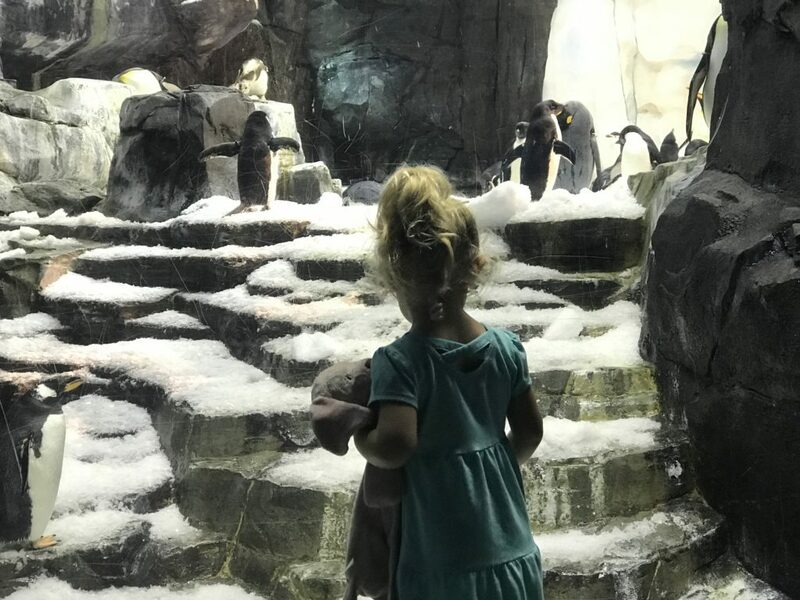 We loved the dolphins, stingrays, sharks, and penguins. 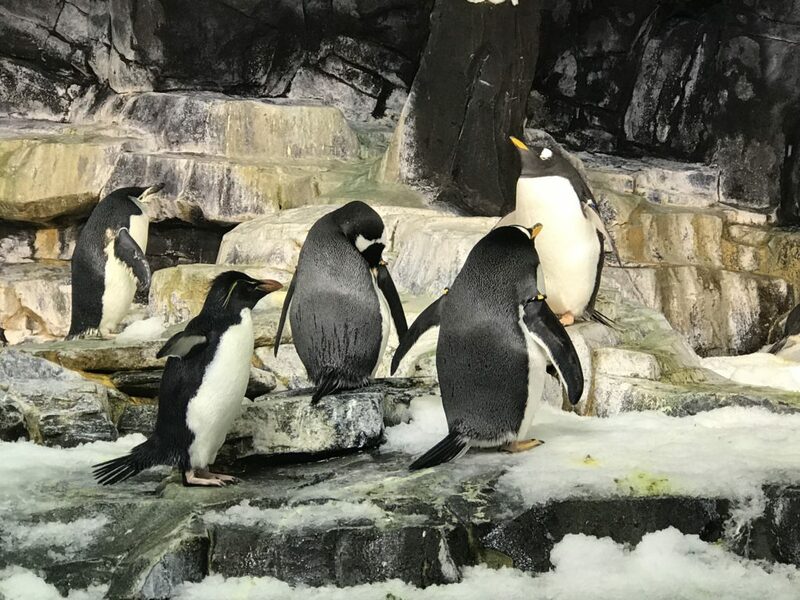 The penguin exhibit at Antarctica: Empire of the Penguin was so neat and freezing cold! A nice break from the Florida heat. We also loved the Wild Arctic exhibit and the Mako shark tunnel (both were in AC). 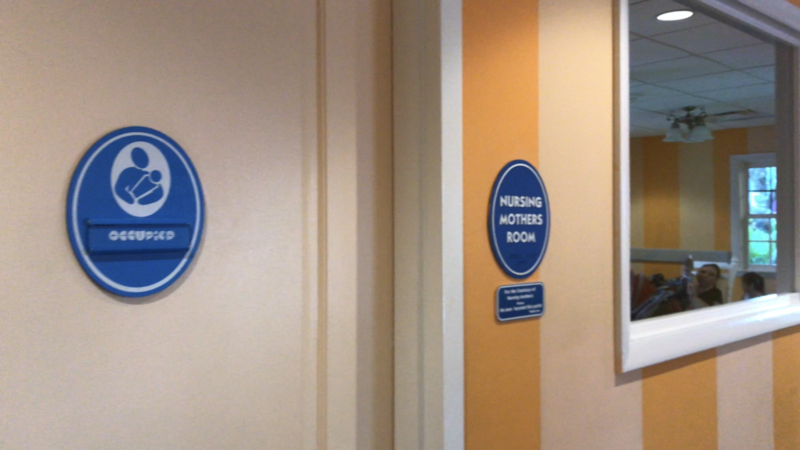 When visiting SeaWorld with a baby, you have to make a stop at the Baby Care Center. Equipped with a kitchen with microwave and bottle warmer, changing facilities, private nursing room and restrooms with kid size toilets, this space provides lots of comfort when traveling with young kids. 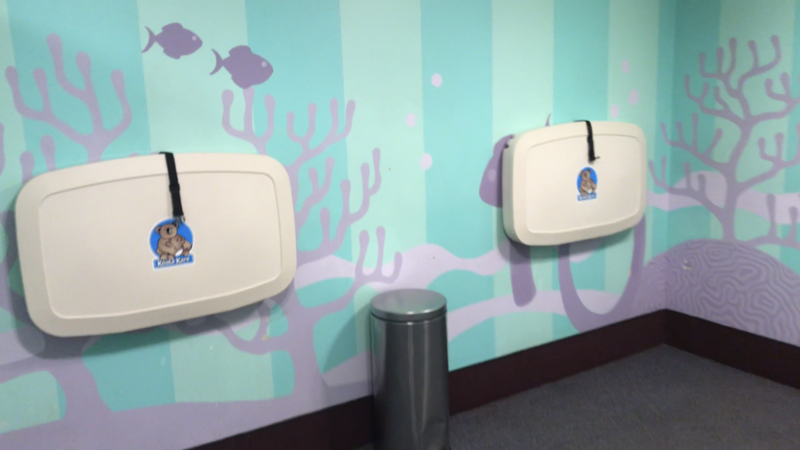 The Baby Care Center is located in Shamu’s Happy Harbor near the kiddie rides. Often during the summer months, Florida has thunderstorms daily. Luckily SeaWorld has a “Sunny Day Guarantee”. You can read more about it here. When we visited, it started raining around 3pm and didn’t stop until the park closed. Fortunately, we had a few umbrellas and a stroller cover to keep us nice and dry. 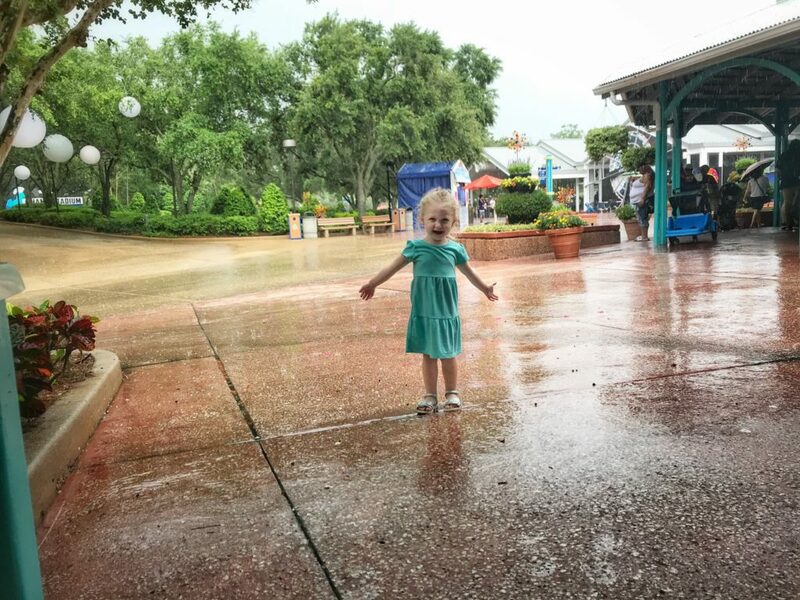 While all rides close down if there is rain or lightning nearby, the animal attractions do not. 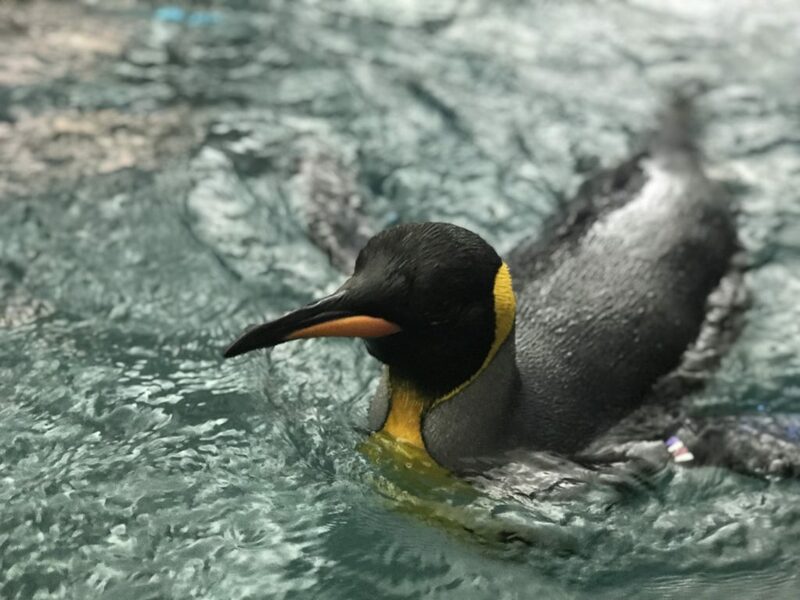 If you find yourself facing a stormy afternoon, check out the indoor attractions to make the most of your time at the park. Unfortunately, we didn’t get to test out any of the kid rids at Happy Harbor due to inclement weather. If you have young kids, and are traveling there during the summer, be sure to ride these first to avoid afternoon thunderstorm closures. Be aware that outside food is not permitted, though they will let you bring in baby food items. Utilize the child swap feature if you and other members of your party want to ride ‘adult’ rides. This means everyone will wait in line (with the baby) together. You will swap right near the ride entrance to allow everyone to ride while someone swaps taking care of the baby. Handheld infants are not allowed to ride ANYTHING, even the kiddie rides. They must be able to take 3 controlled steps by themselves to demonstrate control to ride. It’s Florida, so remember to bring lots of sunscreen, hats and weather appropriate clothes. Be sure to download the SeaWorld app to keep track of show times, park open/close and see an interactive map right on your phone. SeaWorld Orlando offers FREE WiFi when inside the park. My phone was dead by the end of the day between checking the app and taking lots of photos/videos. Bring a portable charger with you to keep your battery life up. Invest in a souvenir cup. They include free refills all day at various stations throughout the park and $1 goes to the SeaWorld conservation fund, you can’t beat that! 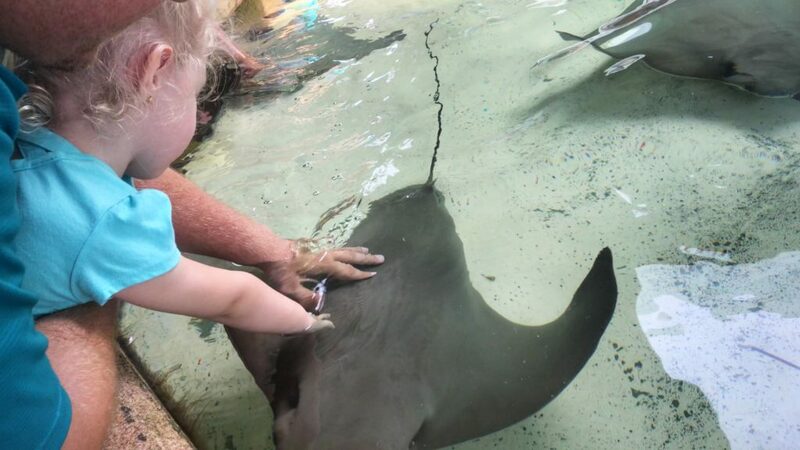 Visiting SeaWorld with young kids is easy if you plan ahead. 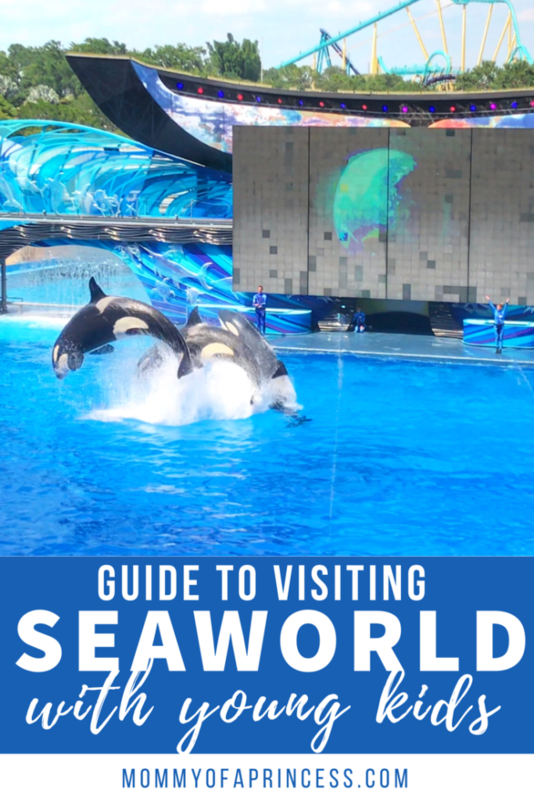 To get started planning your SeaWorld Orlando vacation, click here.